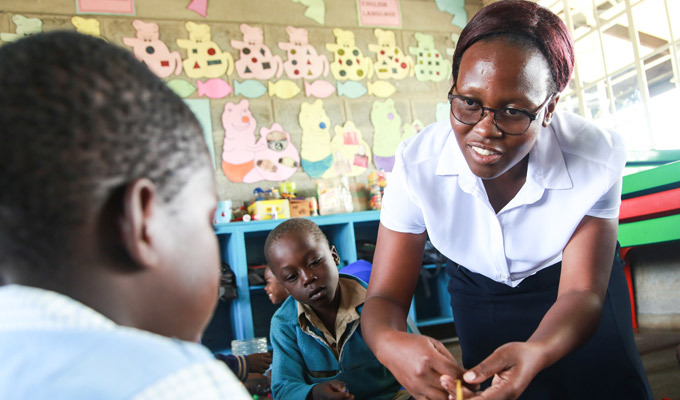 At the SOS Maizelands Early Childhood Development Center in Zimbabwe, teachers like Pauline Mhako support children in building their future life skills. Pauline Mhako knows that her job is one of the greatest, for it involves shaping the minds of 35 little girls and boys in her class. She is a teacher at the SOS Maizelands Early Childhood Development (ECD) Center in Zimbabwe’s Central Province. In her career, Pauline has witnessed many special moments, making her appreciate how influential educators are to their pupils. Pauline Mhako at the SOS Maizelands Early Childhood Development Centre. The 34-year-old is in charge of a class of eager learners aged between five and six years. One of the key facets of her work includes competency building in children. This involves building their life skills and preparing the children for future learning. As parents are essential for a child’s development, they are actively engaged in the learning process as well and support the children with homework and in the understanding of basic aspects of child rights and technology. 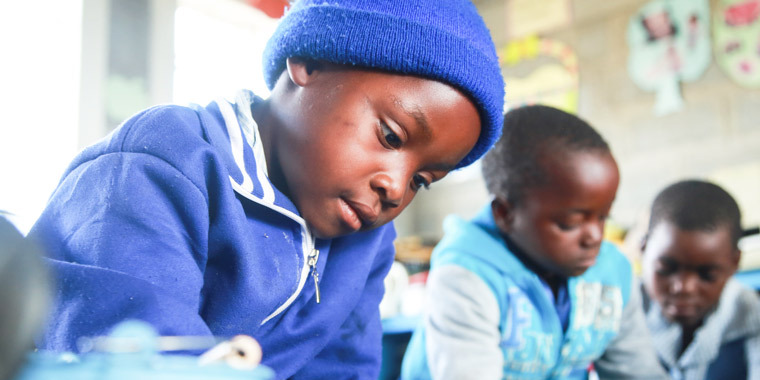 This way of teaching is aligned with a new school curriculum launched by Zimbabwe’s Ministry of Education in 2016, designed to make learning more practical and holistic. In this new system, children are introduced to features of technology, relating it to home appliances the use of mobile phones and computers. In rural communities such as Maizelands, these lessons are critical in ensuring resource-poor children do not lag behind in their understanding of the bigger world. For Pauline, however, teaching goes beyond merely following the curriculum. It is also about noticing the small things that could either encourage or harm the progress of pupils in her class. “Last year, one of my pupils could not socialise with other children. The little girl, Runako*, could hardly hold a pencil to draw. She was also so afraid of human contact. 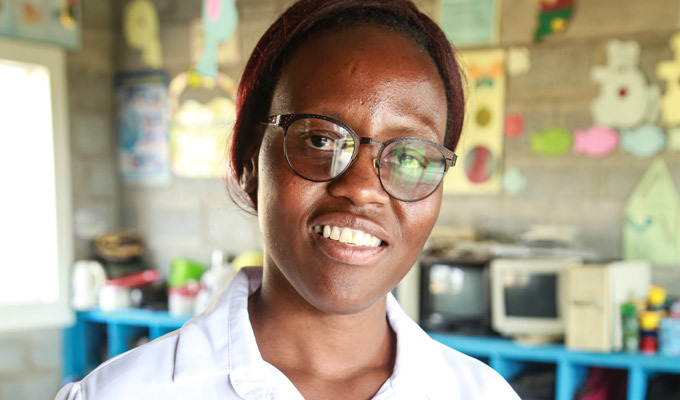 Together with the school principal we checked Runako’s background, and held counseling sessions with her parents to find a solution to her challenges,” Pauline explains. “In the process we discovered that she lived with her mother who had just remarried. Unfortunately, her being abused by her older siblings was the root cause of her behaviour. After counseling the whole family, Runako began to change. She became lively and remained happy as she transitioned to grade one,” details Pauline. Because children are in their formative years at the early childhood development stage, lack of adequate care and guidance can result in lasting developmental challenges. This is why Pauline is always on the lookout for red flags. Five-year-old Unathi*, for example, was aggressive towards her classmates. She frequently bullied them, stole their food and often came to school with incorrectly paired shoes, or torn and dirty clothing. The SOS Children’s Villages staff approached Unathi’s grandmother and supported her with counselling and parenting skills training. The effect has been positive, Pauline explains, as Unathi’s grandmother is now more willing to properly care for her granddaughter. And since the home environment has improved, Unathi is well-mannered and has a healthier attitude. But not all cases have a happy ending, says Pauline. Not all caregivers are willing to learn how to positively parent their children. They struggle to see the value of education mostly due to a perception formed by their own life experiences. Getting to know each child to be able to identify difficulties is part of Pauline's role as a teacher. Other parents are absent from home because, faced with the pressure of providing for their families, they move to the cities. In such situations, teachers have to fill the gap and become a parental figure for their children, ensuring that the supportive school environment they create also extends to their homes.